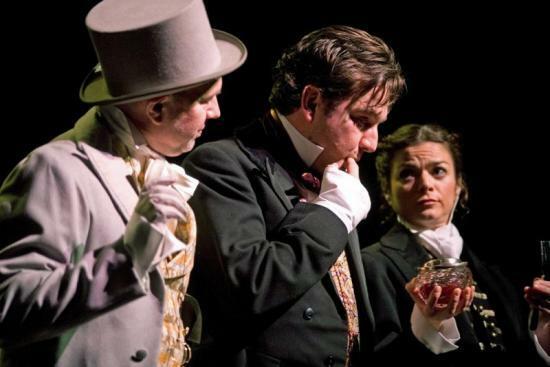 Charles Dickens' classic story of love and mystery makes terrific theatre. Pip longs to be a gentleman, but he is haunted by the memory of the mysterious Magwitch. Caught in the web of the reclusive Miss Havisham's desire for revenge against all men, Pip's love for the beautiful Estelle seems to be just another dream. Jo Clifford's beautiful adaptation uses Dickens' own words to create a classic work of modern British theatre. The production will feature a live soundscape from one of Scotland's finest young composers, Dave Fennessy, an outstanding cast and all the theatricality audiences have come to expect from the company that brought you Sunset Song and Further Than the Furthest Thing.